← FD 35 YRS, Coding 1st Time! Sesame Street, the pillar of my first experience in education that I can remember. A harmonious neighbourhood that was one of a kind for the era in which it was born. With such an array of people from different backgrounds, it encompassed the true meaning of what community was in the most positive sense. Throw in Jim Henson’s Muppets (Yes, they are Muppets, even without being on the Muppet Show!) 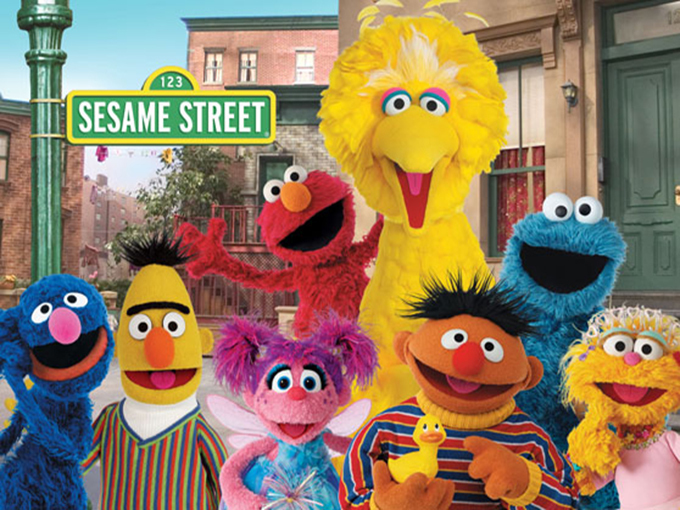 as well and it’s an even more diverse universe that a kid would forever want to visit…Heck, even adults who had the Sesame Street experience growing up. I for one am guilty of this proclamation! In 2010, while in my second year of my Bachelor of Education, my class had planned an education trip to New York and I was determined to visit Sesame Street. After a number of phone calls and promises to get back to me…I was unsuccessful at gaining the opportunity to visit the street where a lot of pre-school learning went on in my life…oh well…I will keep trying until I am granted that opportunity! I’m getting carried away… Our blog post this week is about a quote from Neil Postman in which he states, “…We now know that “Sesame Street” encourages children to love school only if school is like “Sesame Street.” Which is to say, we now know that “Sesame Street” undermines what the traditional idea of schooling represents.” What Postman means is that children, from an early age, that watch Sesame Street have this idea of what learning will be like after being accustomed to watching the educational programming before heading into a school system. I think Scott put it best, in his blog post, when he stated, “From what I can tell, Sesame Street can, in fact, give the impression that schools are (or at least should be) an educational utopia.” They see different videos, songs, mediums, and instructors of the content in monsters and creatures as well as all of the humans that live on Sesame Street, so this sets up an artificial foundation for what to expect when heading into mainstream school. I truly believe that we are heading in the right direction within the realm of education, especially with all of the technological advancements that have been made over the years. With greater access to laptops and the internet and all of the great tools that we are able to utilize to assist us in delivering and executing an education that harbours curiosity and engagement among students. In the article, The importance of audio visual technology in education, it is stated that “Children learn differently and audio visual equipment gives teachers the chance to stimulate each child’s learning process with a combination of pictures, sounds and attention grabbing media.” With the ability to utilize different multimedia we could possibly be seeing the growth of student interest in school-related learning and experiences within our classrooms. This coincides with the fact that students are able to bring their own devices to school as resources that they are able to tap into at any time! In the article The pros of AV, Rebecca Paddick concludes with “Any investment made by an educational facility is ultimately an investment in its students, and a fully-integrated AV system can be a huge benefit, affording seamless interaction and an engaging, varied work environment, tailored to the requirements of the end user, improving the learning experience for both student and teacher.” Learning can only happen when engagement is peaking and technology draws in increasing interest from students throughout schools. This entry was posted in EC&I 833 and tagged eci833, edtech, education. Bookmark the permalink. 1 Response to Today’s Episode is Brought to you by the Letters A and V!